Oregon workers' compensation rates continue to increase in 2019. Rates on Workers' Compensation Insurance in the state of Oregon are very good. On average they are 26 percent lower than the national average. These rates have decreased by 10 percent since 2017. Even though employers enjoy healthy rates, many business owners are still not taking advantage of everything available to them to get the most out of their work comp policy. We offer flexible payment options like Pay as You Go Workers Comp to help ease the burden of premiums and free up cash flow for more immediate expenses. Our agents specialize in workers comp and they know the best ways to get the absolute most out of your coverage. Call today to speak with one of our knowledgeable agents at 888-611-7467 or you can start a free no-obligation quote online. The workers' compensation rates listed below for Oregon represent the lowest and highest insurance rates effective 1/1/2019. 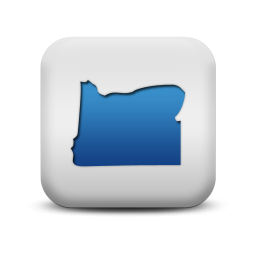 Oregon rates are set by the OR Workers' Compensation Division with oversight from the Department of Consumer and Business Services. Insurance companies doing business in the state may are permitted to offer premium discounts and scheduled credits up to 25% on all policies. We also offer Pay As You Go work comp coverage in Oregon. Not all employers will qualify for the lowest rates available or maximum policy credits. Compare your workers compensation with over 35 insurance carrier to ensure your get the best price on your policy. Oregon workers compensation rates vary by insurance company underwriting guidelines and work comp classification codes. Employers' who have an Experience Modifier assigned to their business may have additional credits or debits applied to their insurance rates based on prior premiums and workers compensation losses. The State Fund in Oregon is SAIF Corporation. Employers who are unable to buy coverage from a private insurance carrier may purchase a policy from SAIF. 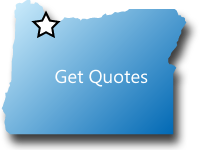 Get quotes for Oregon or get help finding a multi-state policy for your business. SAIF Corporation is Oregon's not-for-profit, state-chartered workers' compensation insurance company. SAIF is the market leader, issuing almost half of the policies in the state of Oregon. It provides coverage to more than 600,000 workers. SAIF was created by the people of Oregon through the state legislature, "to make insurance available to as many Oregon employers as inexpensively as may be consistent with the overall integrity of the Industrial Accident Fund." Because of this public private partnership Oregon enjoys some of the lowest rates on workers compensation coverage in the country. The rates in Oregon are 26 percent lower than the national average. Oregon is under the Jurisdiction of the National Council for Compensation Insurance (NCCI) and contracts with Travelers as the state fund carrier. Our agency can help employers find guaranteed state fund coverage in OR. If we can't find coverage with a private insurance provider we can help buy a state fund policy. QUORIFY FOR LOWER WORKERS COMP RATES. We will shop your policy with our OR carriers. We help Oregon employers find the best deals on their work comp coverage. We also offer flexible payment options because we know cash flow is important for many business owners. We've developed Pay as You Go Programs with most of our insurance partners to lower your up-front costs and offer real-time monthly reporting for your premium payment. Give one of our Oregon workers compensation specialists a call today at 888-611-7467 to see if your business qualifies for lower workers compensation insurance rates.